Well, you mentioned The Blob. Did I ever tell you that I live in the town where it was shot? What Phoenixville, PA is most famous for (aside from it being one of the places The Sundance Kid lived as a child) is it's the home of the Colonial Theater, where the movie theater scene in the Blob was shot, as well as where a lot of the exterior scenes were shot. Every year, they do a reenactment of that scene where everyone runs from the theater. It's a big event here, and it's called "Blobfest!" We moved here the year of the 50th anniversary of the movie, but unfortunately, weren't aware of the festival until after it had passed; which is a shame because "The Blob" happens to be Traci's favorite horror movie! that is some of the coolest news i've heard in a while! i would LOVE to go to blobfest! saturday mornings i was glued to the tv, watching hour after hour of cartoons, my dad yelling, "get outside! it's too nice to be indoors!" there were two times i remember him actually calling my brother and i IN from playing outside to watch movies he wanted to share with us. the first one was "the blob", the second one was "the magnificent seven". (he also plunked me down in front of the set to watch the first ever episode of "batman" saying, "watch--i think you might like this..."
This is a fun list. 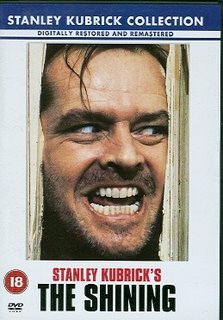 I'd have to say my first thought when you say scary movies is The Shining (or the Shinnin' if this is on the Simpsons.) I was too much of a coward to watch horror movies as a kid, so I didn't see the Shining until college. And it scared me silly. It's too bad Hollywood has overused the creepy little girls bit, because those pasty twins are the most frightening thing i've ever seen. And I'd have to follow it up with Hush, Hush Sweet Charlotte with Bette Davis. 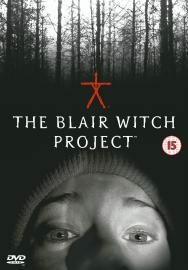 We watched this in middle school once, during the middle of the day, in a crowded classroom, and I still had nightmares for weeks. This also may explain why I couldn't watch another horror film until college. 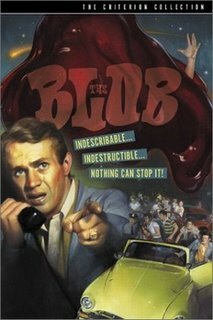 The Blob certainly was one of the stand out scary movies from my childhood and the Shinning was another stand out thriller. As for the original Friday the 13th, my cousin Niki's husband, Barry Abram, was the cinematographer on that bad boy so I'll have to vote for that as No. 1.
ha! yeah, i'll give ya that. dani used to get spooked out here sometimes when she would be home alone. but then, she always had gretchen to protect her. never saw 'hush hush sweet charlotte' (though have always meant to 'cause stephen king mentions it in 'on writing') but i will definitely be looking for it now! thanks!